Contrary to the apparent opinion of many in the Arsenal blogosphere, this game might be more important than any of the matches coming up in early March in the Premier League. In all actuality, each game has its own significance. The game got off to a flyer, plenty of space and a goal for Mesut from Kola’s instant pass within the first 4 minutes. Perfect. Bournemouth made a tactical change and were suddenly right back in it. Their tails were up and then we scored the second to take the wind out of their sails after a sloppy pass across the back four. Micki found Mesut and his return pass was just sublime; the Armenian’s finish clinical. Surely that would kill Bournemouth’s fightback? Nope. Some more titting about playing out from the back gifted them a goal. 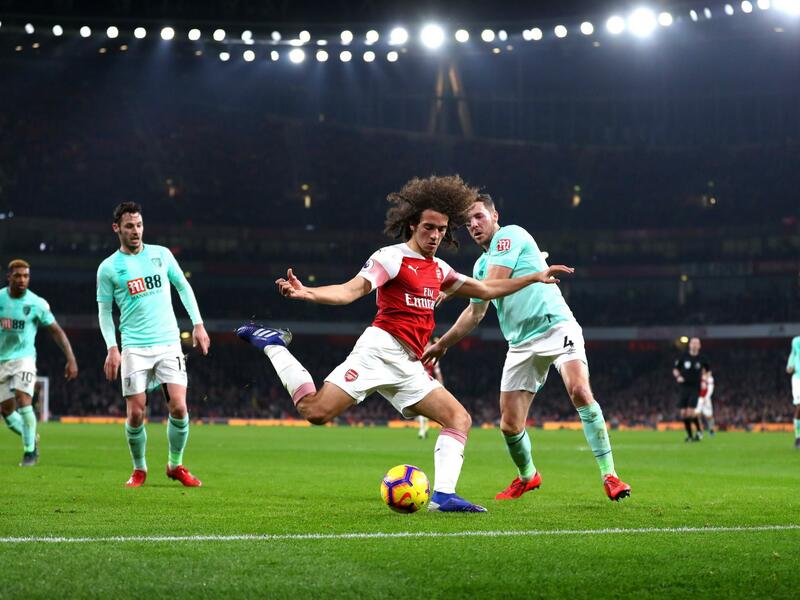 Guendouzi caught on the ball, though he was also caught with the follow through of the challenge which I always thought was a foul. Anyway 2-1 and raised heartrates all round. The remainder of the first half was spent searching for a working stream. Did anything happen? According to the commentary I had, Emery laid into the players at half time. It showed. Ferguson hairdryer, Emery blowtorch – who cares if it produces the right reaction from the players. Kos scored from a free-kick which looked like it was going nowhere but back to our own half. It ended up being a nicely constructed goal which created the space in the penalty area by virtue of the backwards passing. The fourth from Auba was all down to Micki’s strength bringing the ball out from deep Who would’ve thought? Taking the ball round the keeper – how often does anyone get a chance to do that these days? Mesut hit the post before the coup de grace. Laca’s free kick really was the cherry on the cake. The ball travelled over the jumping wall and still came down six feet from the ground. Boruc got a touch but had little chance of keeping it out. Excellent home win – something we’ve come to expect at THOF as out home form is that of title contenders. The first half definitely had some worrying periods, but overall it was a football match of which the manager should be proud. Spuds losing meant that we’re only 4 points behind their title challenge. 🙂 The chavs and red mancs winning meant fourth to sixth position stay exactly as you were. Please give your own ratings/match report in the comments. Micky summed up Bournemouth in a few words yesterday – Language Schools and David Wagner. Let’s start with language schools. The moment I passed my driving test at the age of 17 my mates insisted we spent each post-season weekend down in Bournemouth. Why? Because the language schools were full of ladies from Scandinavia with, what we assumed, were looser morals than our North London girlfriends.. We would rent a few rooms in the local B&B’s and go to the school’s discos with the hope of some horizontal exercise. Were the rumours of degenerate behaviour correct? A gentlemen couldn’t possibly say. David Wagner: His managerial record at a club whose ground capacity is under 12k is astonishing. Wagner’s first season in 2009 saw him take over a bankrupt club. Winning promotion in his first season he has transformed Bournemouth and brought unimagined glory to the PL smallest club. I expect him to go to Spurs when the Podgy Argie leaves for Spain. They have some decent players, in particular, the midfielder David Brooks who scored against us at Dean Park earlier in the season. He has a bright future. Begovic always excels at the Emirates and both King and Wilson are dangerous on the break. 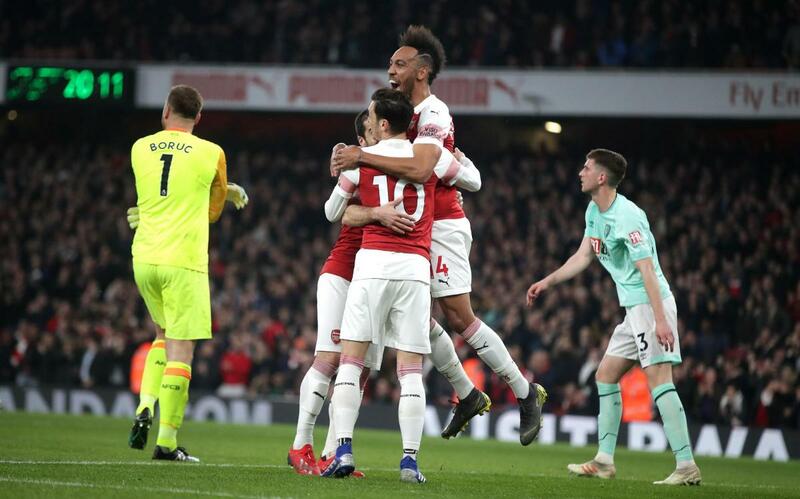 Arsenal: Our home record is impressive and despite a growing long-term injury list we are over-performing this transition season, Win today and we can be either 4 points from Spurs in 3rd (if Spurs lose) or 6 points ahead of the Chavs (if they lose). Would love to see Ozil start but expect the same starting 11 as the weekend with perhaps Koscielny in for Mustafi and AMG replacing Lichtsteiner should be not be fit. And what of Auba? Too good for the bench but we play better with one up top (IMO),. Does Emery rotate on a weekly basis? He seems to prefer the industry of Lacazette over the mercurial PEA. B’mouth have conceded 48 PL goals and I expect us to help them reach the half century. They have lost their last 7 away fixtures. The 2018–19 AFC Bournemouth season is the club’s fourth consecutive season in the top flight of English football and their 129th year in existence. Bournemouth’s stadium is the smallest in the Premier League, they play their home matches at Dean Court, which has a capacity of 11,329, and this season it will be the smallest stadium in the Premier League. The club’s badge has Bournemouth’s red and black stripes and also a footballer heading a ball. The club is currently owned by Maxim Demin, a Russian multi-millionaire involved in the petrochemicals trading industry. He became co-owner of then Football League side A.F.C. Bournemouth with Eddie Mitchell, reportedly paying £850,000 for his share of the club. Subsequently (in 2015) the club were promoted to the Premier League. In 2015, he sold a 25% share in the club to Peak 6 Investments, although he remains the majority shareholder. Demin spent £5 million on a mansion in Sandbanks (Dorset), also known as ‘Britain’s Palm Beach’. He then promptly demolished it and employed Eddie Mitchell to rebuild a state of the art house. 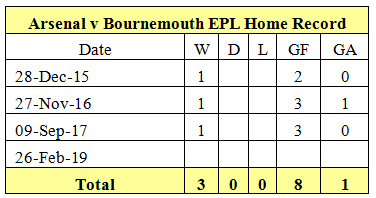 Bournemouth is currently 10th in the Premier League with a record of W10, D4, L13, GF38, GA48. They have conceded 1.78 goals per game while we have scored 2.04 per game overall and 2.07 at home. We have already beaten them away from home, sneaking the points with a narrow 2-1 victory. They scored one of the best OGs you’re ever likely to see to put us in front, before equalising on the stroke of half time with us committing 23 men forward. Auba got the winner midway through the second half. Remarkably we were wearing our pistachio kit – not sure if that was our first and only win in that kit in the Premier League? We have a 100% home record against Bournemouth and I feel that, regardless of our squeaky defence, our attacking strength will be too much for them. A few years ago one of our bloggers (I think it was Kelsey) wrote a match report without having seen any of the game. Sometimes this is for the best. The second half of yesterday’s game was certainly a case in point. At least our game had goals; the two other “Season Defining” (according to Sky) games played yesterday afternoon were snooze-fests with only one shot on target in both games!! Call that entertainment? The only talking point were the Chav’s hissy fits, which were hugely enjoyable. So … we kicked off. Played some fine football for 20 minutes. 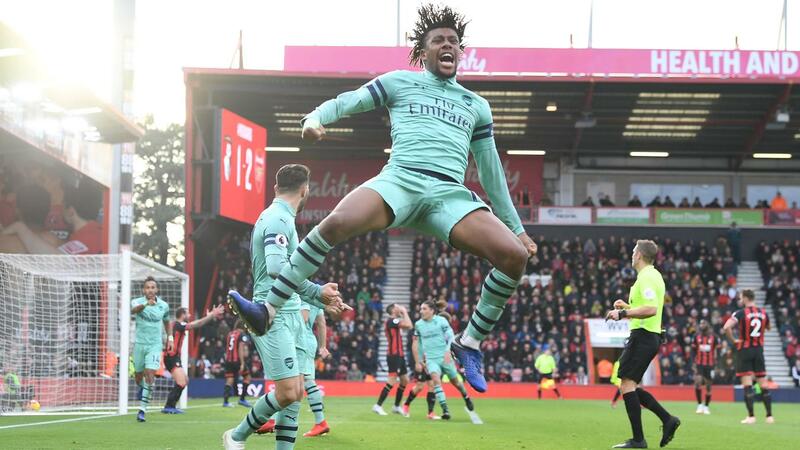 Ramsey made his presence felt, Iwobi entertained. Two defensive lapses, some clinical finishing and we were two up. I could stop here because until Auba came on it was a dull watch. In the second half it was difficult to tell which team was in the relegation zone, we created nothing, S’ton created nothing. Auba’s arrival saw an injection of pace and he could have scored a couple. 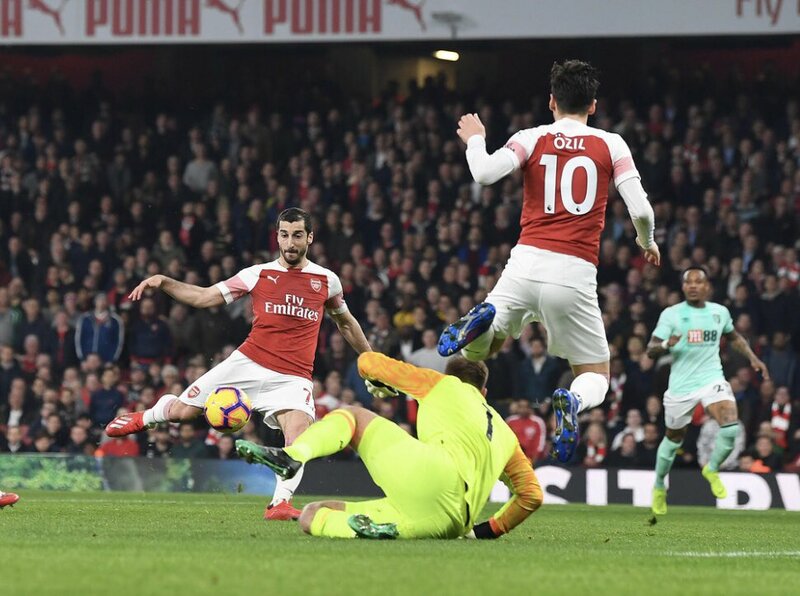 Ozil made a few lovely moves – one pass to free Auba, off the outside of his boot, was wonderfully creative. A calf injury (?) to Licht could be costly. We created nothing down the right with Mhiki making little impact apart from his goal. Who knew that Bellerin was such an important player? No Suarez. Why did we sign him? Saints Alive! – Mesut starts again? Since David Wagner took over at Southampton in December, they’ve won 4, lost 4 and drawn 3 in the league. Their victories included our dreadful performance at St Mary’s when the bounce effect of a new manager was in full force. Under Mark Hughes they were tending to draw or get battered, so it was definitely the correct thing to do to get rid of such a loathsome specimen, since it looked very likely he would have taken them down. They still sit in the bottom three but are vying to escape that third relegation spot with 5 other teams only a couple of points above them. That’s assuming Fulham and Huddersfield are doomed. We must ensure they get no points from their trip to The Home of Football to help with their fight against relegation. Kos is a doubt after his knock against Bate but as a replacement, Big Sok fills me with confidence – even when paired with Shirley. (If anyone is offended by the gentle ribbing of Shkodran’s abilities, then please don’t be as he is as important as any other member of the squad and has given us some outstanding performances already this season). There still appear to be some doubts about Mavro’s fitness but this has been difficult to confirm. Will Mesut retain a starting place? That is the burning issue team selection-wise. 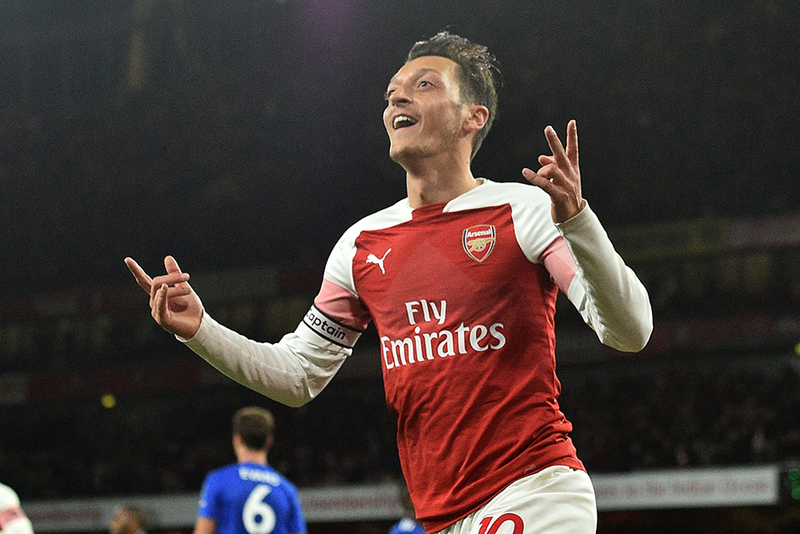 Unai was quick to suggest that Mesut isn’t guaranteed a starting spot after Thursday’s win. Perhaps Ramsey will be asked to play in the free role again. It’s the sixty four thousand dollar question. Up front Laca will be itching to get back into the action. 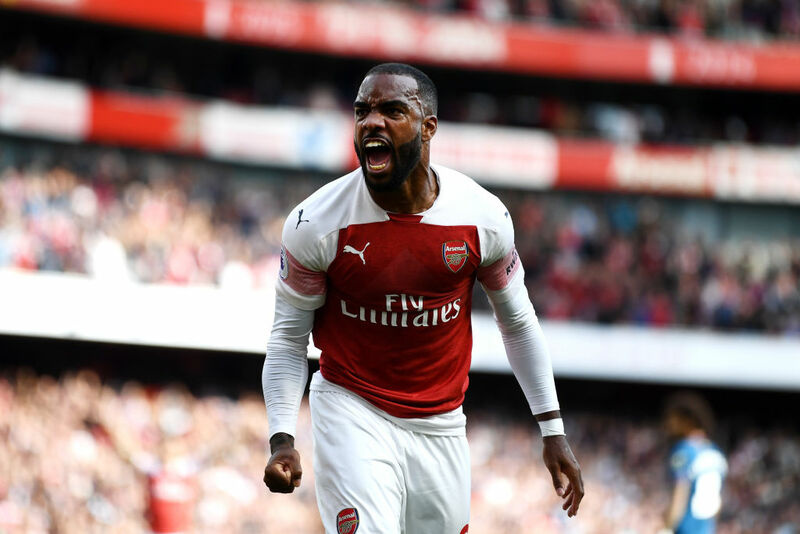 I’d imagine he’ll start in the next few Prem games while Auba is wrapped in cotton wool for the Rennes tie as our only eligible senior striker. Wobbly should keep his place as he’s been one of our outstanding recent performers. Maybe Denis Suarez could get a start to replace Micki who’s been looking a little jaded? It would be great to see what he can do when he plays for longer than 15 minutes. Team news update – according to Jeorge Bird on twitter, both Kos and A.M-N were in full training on Saturday, so both could start. Eddie Nk also trained with the first team. Our home form is good in the League, unbeaten in 12 – including six wins on the bounce in our last half a dozen. Score predictions in the comments, please (as it drew a few on Thursday). Another strong performance in front of the Emirates unfaithful, please lads. Southampton FC was founded in 1885 and plays their home games at St. Mary’s Stadium. The stadium opened in 2001 and has a capacity of 32,589; it is the biggest stadium in the south of England, outside of London. 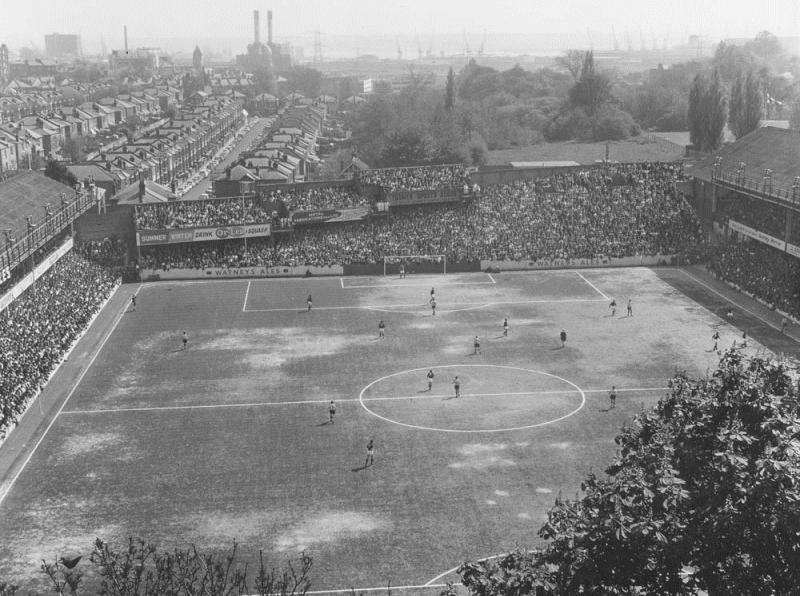 The stadium was built to replace ‘The Dell’, where Southampton played between 1898 and 2001. The club has been nicknamed “The Saints” since the club was founded in 1885. This is because it was founded as a church football team and was originally called St Mary’s Young Men’s Association. The club was renamed Southampton F.C. after the club won the Southern League in 1897, but the nickname has endured. The current manager is Ralph Hasenhüttl who was appointed on 5 December 2018, succeeding Mark Hughes. His first game in charge was a 0–1 defeat at Cardiff City. His first win as Southampton’s manager came on 16 December in a 3–2 win at home to Arsenal ending the Gunners’ 4-month 22-match unbeaten run. Southampton have played in the Premier League for a total of 16 seasons, they have been relegated once, in 2004-05, but were promoted back to the Premier League in 2011/2012. They reached the Premier League after back to back promotions from the third and second divisions. 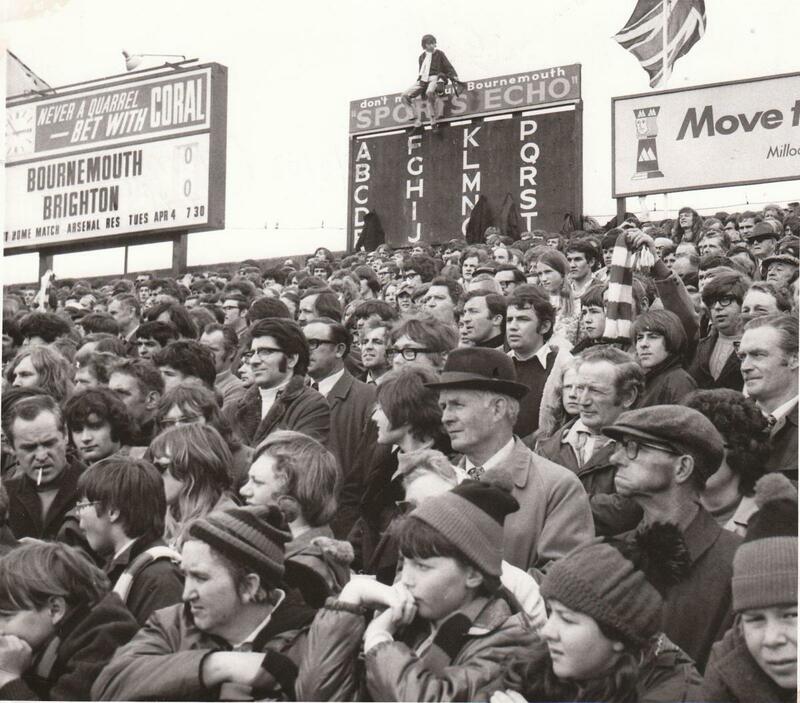 Our overall home record against the Saints is extremely solid, just 2 losses, and they have not managed a single win against us in the Premier League – the last time they won a game was a slender 1-0 victory at Highbury on November 21, 1987. The press had made a massive thing about our new £7.5m Dutch signing not scoring yet with September nearly over, in true clickbait style. After 17 minutes in glorious Highbury sunshine, their story was dead in the water and a new legend born. 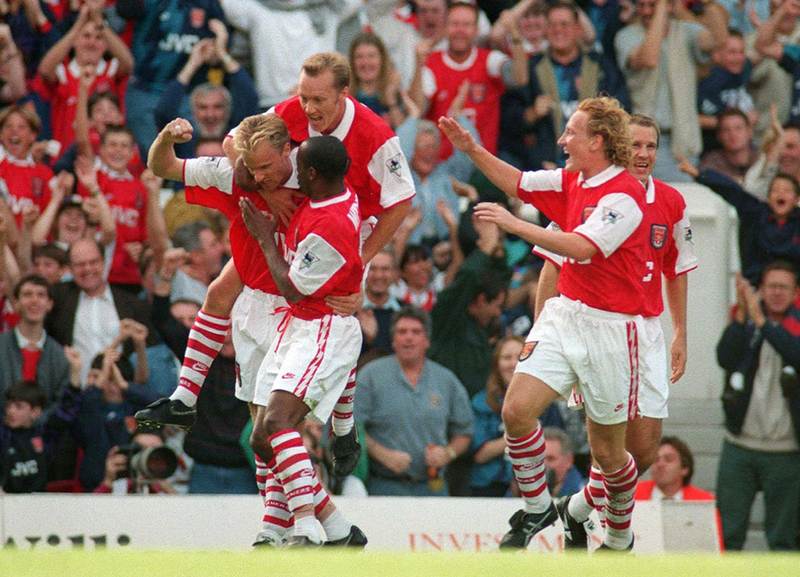 Glenn Helder sent a looping cross over to the far post and DB10 thumped a well-controlled volley into the far corner. Bould and Adams conjured a second with the near-post flick on routine, before Southampton sneaked two back before half-time. Dennis crashed in his superb swerving second to restore the lead in the 68th minute and Wrighty squeezed in a 4th a few minutes later. This double hat-trick game became the very first match in a sequence of 49 unbeaten, encompassing the tail end of 2002/3, the whole of 2003/4 and 9 games of the 2004/5 season. 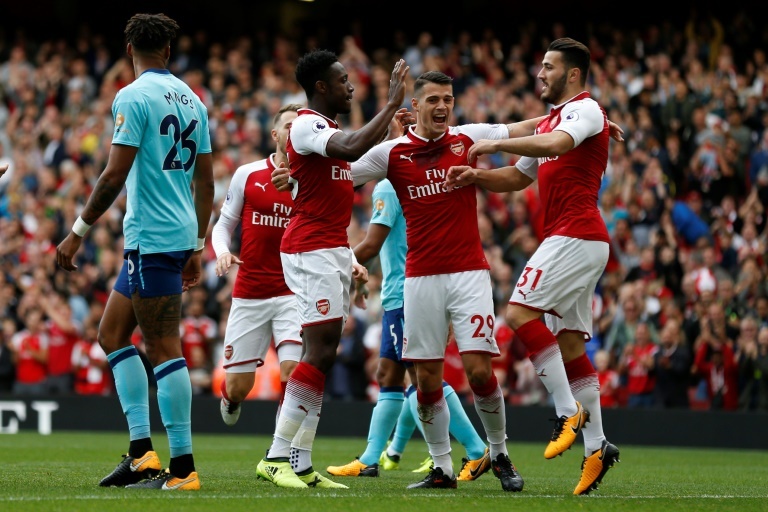 Jermaine Pennant scored his hat-trick inside 10 minutes in the first half and two for Robert Pires made it 5-1 at half-time. Bobby completed his hat-trick with the goal of the game, a sublime chip over the stranded Southampton keeper. 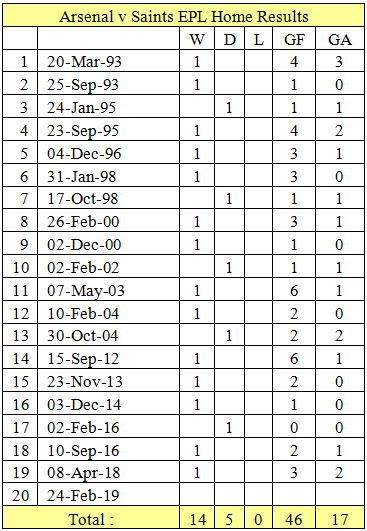 Forty eight more Arsenal teams were to leave the field in the next 18 months without being beaten. There is a 18.9% chance of a draw. In simulations where the game is not a draw Arsenal, at 71.5%, are heavy favourites to beat Southampton who have a 9.6% chance. In simulation wins, Southampton upsets Arsenal by averaging 7.7 shots and 3.2 shots on goal. They average 1.7 goals in simulated victories vs just 0.4 in simulation losses. Overall, the average simulation score is Arsenal 2.2 to Southampton 0.6. It is inconceivable that Ralph Hasenhüttl would become the first Southampton manager to have back to back home and away wins against us, therefore I foresee a resounding victory. Mesut to start – thank funk for that. In need of a goal, the team started really well. Wobbly had a chance to shoot immediately. 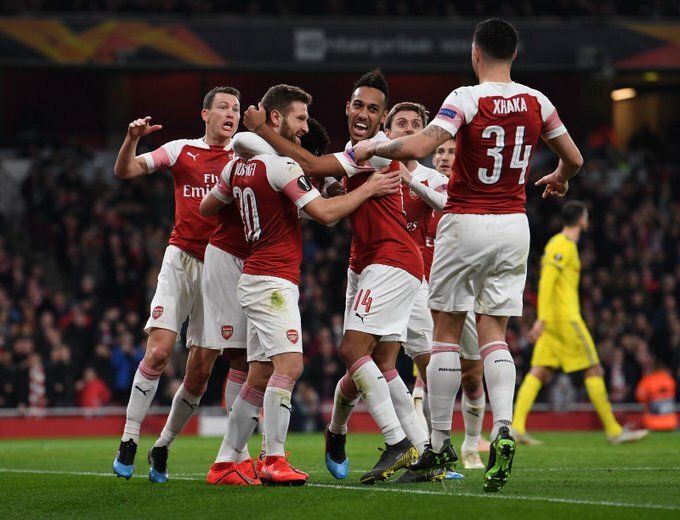 Only a few minutes had gone when Bate scored – in their own net, the defenders confused – not realising that, since it was Auba crossing the ball, nobody would be in the middle. Frustratingly the foot then came off the pedal. Either that or Bate realised that an away goal was their best chance and upped their game. One in the side netting and then one off the line cleared by Lichtsteiner. As usual Arsenal allowed the poorest of opposition good chances. Gradually we regained superiority. Xhaka had a cracking pot shot. Just before half time and after a succession of short corners which produced diddly squat, Xhaka planted one into the perfect spot for Shirley to fool the defender and then get in front of his man, bulleting a close range header for 2-0. Superb celebration from the master carpenter! After a bit of Keystone cop defending in the first few minutes after the break and a few heart flutters, the result was never really in doubt once that half time malaise had worn off. Papa majestically finished off another Granit corner launched right into the mix. Shirley put the goalie off and the big Greek planted the ball into a gaping net with the back of his swede. 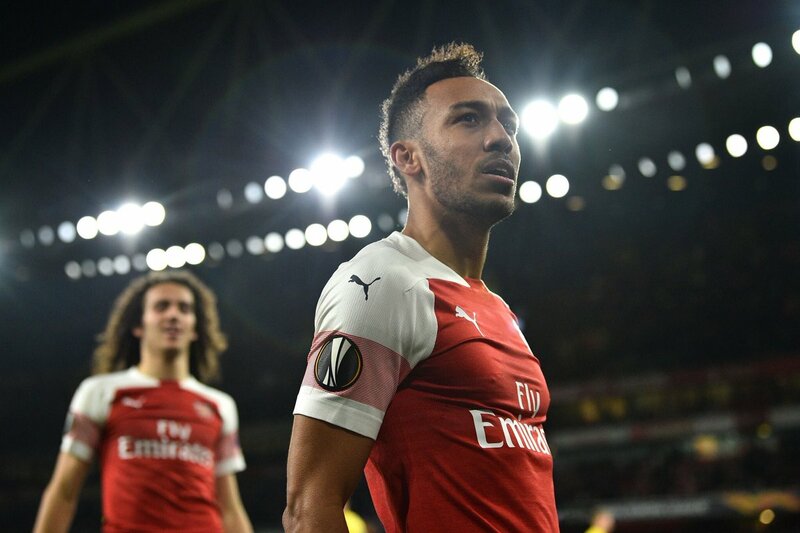 Auba struggled to find a goal but he could have played all night and not scored. Saving them for Southampton on Sunday, I hope. Mesut scuffed a relatively simple volley with the goal at his mercy but the three goals would have to suffice, and they did. Job done. Relatively straightforward in the end. Bate had two decent chances to get the away goal they craved but we really should have had more to show for such dominant superiority. An OG and two headed goals from corners from 22 efforts on goal did prove enough to put us in the last 16 though. The draw for the round of 16 is today at 12 noon GMT. There are a few teams we’d miss ideally, though we’ll have to beat some good teams if we’re going to win it, no doubt. Unai Emery wears his heart on his sleeve on the Arsenal touchline!